02:08 IST: Croatia defeat England 2-1 to enter their first-ever FIFA World Cup final. 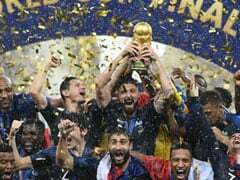 It will be France vs Croatia in the FIFA World Cup 2018 final as the three lions head home. Thank you for joining us on all the action, until next time, it's goodbye! 02:06 IST: Free-kick for England, Marcus Rashford delivers as referee blows for the final whistle. 02:04 IST: Maguire plays a long ball for Kane, but Subasic does well to grab hold off the ball. Croatia 2-1 England. 02:02 IST: Four minutes added, as England play a delicious cross inside the box only to see it cleared away by the Croatian defence. 02:00 IST: Luka Modric has been withdrawn with two minutes to be played, Milan Badlej of Fiorentina replaces him. 01:54 IST: Jamie Vardy comes in place of Kyle Walker. As Mandzukic needs some attention, the potential match-winner has pulled a muscle it seems. 01:51 IST: GOAL! 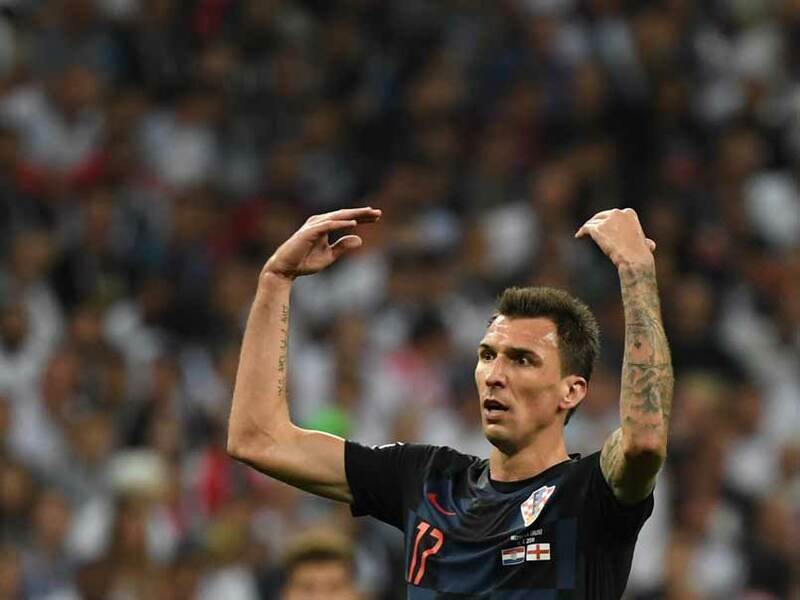 Mario Mandzukic swoops Croatia in the lead in the 109th minute, piercing finish from Perisic's flick on to stab Pickford! Croatia 2-1 England. 01:49 IST: Corner for Croatia. Rakitic took it quickly, but the final ball is just shot wide. Croatia 1-1 England. 01:48 IST: The final 15 minutes of extra-time gets underway. 01:45 IST: Croatia (68' Ivan Perisic) 1-1 England (5' Kieran Trippier), 105 minutes played. 01:42 IST: WHAT A SAVE BY PICKFORD! Mandzukic plays a lose ball to find the back of the net as Pickford charges forward and stretches his foot, to keep the shot away. 01:41 IST: Two additional minutes, into the first period of extra-time. Kane tries to play a long ball, cleared away as Croatia break on the counter, Pivaric makes a cheeky cross to find Modric -- who throws his boots at it but fails to get the slightest touch. 01:37 IST: Ante Rebic has been replaced with Kramaric in the 101st minute for Croatia. 01:34 IST: Eric Dier earns a corner for England, through his first touch of the night. SAVED off the line! Vrasljko does well to keep the well directed header from John Stones out! Croatia 1-1 England, 99 minutes played. 01:33 IST: England bring in Eric Dier to replace with Jordan Henderson. 01:31 IST: Danny Rose driving forward for England, but he has been caught by Rebic as he goes into the referee's book. Free-kick for England, from quite a distance. Played in by Trippier and Maguire was penalised. 01:30 IST: Ivan Strinic has been replaced by Pivaric for Croatia. 94 minutes, Croatia 1-1 England. 01:28 IST: Dele Alli plays a side pass on the edge of the box, Ivan Perisic clears. Play has been stopped, looks like Ivan Strinic has taken up a groin injury. 01:26 IST: Substitution for England, Ashley Young makes way for Danny Rose as the first period of extra time gets underway and we are off and running! 01:20 IST: Seconds remaining as Croatia keep the ball. Referee blows final whistle, as it stands Croatia 1-1 England after full-time. 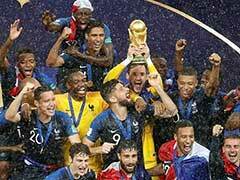 We will have an extra-time and might go beyond to find out an opponent for France to face in the final. 01:18 IST: England get a free-kick from the 30-yard at stoppage time. Trippier to take, he gets a swinging ball in but it headed down and wide by Harry Kane. Croatia 1-1 England after 92nd minute. 01:16 IST: Final minute of regulation time, Croatia still making England do the chasing work. Strinic finds Rakitic in the left flank but the final ball is skied over the crossbar. 3 minutes of stoppage time added. 01:13 IST: Vida clears the ball, but England regain possession as Harry Kane plays a forward past beyond Jesse Lingard inside the box. Croatia 1-1 with 88 minutes played. Looks like we are heading to extra-time. 01:09 IST: Mario Mandzukic gets a close range shot, straight into the arms of Jordan Pickford as the Juventus striker fails to find the back of the net. 01:08 IST: England feeling the heat at the backline, Walker makes an abrupt back pass but somehow it goes ahead of Perisic, who was in the mood to grab hold and make the most of the opportunity. 81 minutes, it's all square! 01:05 IST: Stat attack - Perhaps no surprise that Croatia are on the scoresheet. They've scored in each of their last ten games. The last team to keep them quiet was Japan way back in 2006. 01:03 IST: Marcus Rashford offside, did not time his run to perfection as Harry Kane tries to play a long ball through. Croatia 1-1 England after 76 minutes. 01:02 IST: Perisic with a hasty throw, tries to find Mandzukic but the England defenders reach on time. England on the back-foor. 01:00 IST: Substitution for England, Raheem Sterling off; Marcus Rashford on! 00:58 IST: Ivan Perisic hits the POST! The ball later falls on the rebound, but Pickford does well to grab hold of it. 00:57 IST: GOAAAL! Ivan Perisic gets ahead of Walker to direct home Vrasljko's cross. Croatia 1-1 England after 68th minute. 00:54 IST: Harry Kane side-netting, gets past Vida on a poor angle only to find the side of the net. 00:52 IST: Ivan Perisic takes a screaming shot from the edge of the box, blocked by the England defence. Croatia can't quite find the penetration so far. Croatia 0-1 England after 65 minutes. 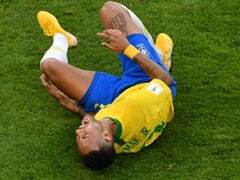 00:50 IST: Raheem Sterling stumbles inside the box, took a slight touch of Vida but the ball is cleared away as Croatia break on the counter and keep the ball inside the England half. 00:46 IST: Intense pressure on England, another Croatian corner, lifted in by Modric but punched away by Pickford -- who gets a fair distance on the ball. 00:43 IST: Corner for England, Trippier takes, the final ball was cleared away by Lovren. England hand on the lead, 56 minutes played. 00:41 IST: Kyle Walker has been booked for getting into a spat with Perisic as Croatia collects a corner. Flung in by Rakitic, referee gives a goal-kick for Lover's push on Maguire. 00:39 IST: Throw-in for Croatia, Rebic delivers a curling ball inside the box but it goes beyond the far post, fails to find the target man inside the box. 00:34 IST: Yellow card for Rebic, for elbowing on Kyle Walker. 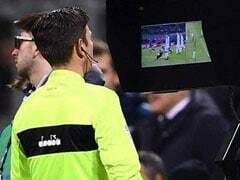 But a VAR has been taken to find out the real culprit as Mario Mandzukic gets the booking in the 48th minute. 00:32 IST: Croatia gets the second half underway, trail to a slender lead held on by England. 00:17 IST: One minute added, Croatia have a set-piece. Flicked in by Modric, out by Walker, Rakitic keeps it in, Modric later slips inside the box as England look to run away with the ball but the referee blows the whistle. 00:12 IST: Rakitic to Modric, the Real Madrid midfielder passes the ball forward to Vrasaljko -- who skies the ball, unnecessarily. Croatia trail by one goal to England. 00:09 IST: Approaching half-time, Croatia has pushed England back to their own half, trying to find the penetration. 40 minutes played, Croatia 0-1 England. 00:05 IST: Jesse Lingard misses the near corner, brilliant play from Harry Kane first up in the midfield to beat Brozovic as the final ball from Dele Alli found Lingard but the Manchester United forward fails to find the back of the net, puts it wide. 00:01 IST: Ante Rebic takes a shot on goal, powered it to perfection but a straightforward save for Jordan Pickford. Croatia 0-1 England. 23:59 IST: Harry Kane misses a close-range effort. The English captain looked to lack conviction there, shot twice from close range both failed to get at the back of the net. Though the latter shot was marked offside. 23:56 IST: Free-kick for England from 30-yard, Ashley Young delivers the dead ball inside the box, but Subasic punches it away for a England throw in as they maintain possession on the ball. Croatia 0-1 England. 23:52 IST: Mistake from Danijel Subasic, makes a miscued pass to his defender as Raheem Sterling grabs hold off the ball, plays it through to Harry Kane, who finishes it at the back of the net but the assistant referee has marked it OFFSIDE! Croatia 0-1 England. 23:50 IST: Now Ante Rebic, tries to take a shot from the edge of the box but John Stones makes the BLOCK as the ball on the rebound falls for Croatia. 23:48 IST: Ivan Perisic takes a shot from outside the box, gets past the English defenders as the ball off target, fails to even get the side netting. 23:47 IST: Modric gets a brilliant long ball, but the Croatians fail to keep hold off it as Kyle Walker keeps the threat out. Croatia 0-1 England. 18 minutes on the clock. 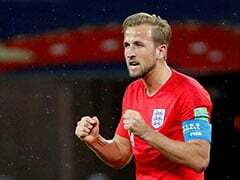 23:45 IST: Foul on Harry Kane, England retain possession. Croatia have played most of the initial 15 minutes inside their own half, thus far. 23:41 IST: Corner for England, veteran Ashley Young takes, Harry Maguire gets a touch in the air, but the ball rises over the crossbar. 23:40 IST: Corner delivered by Modric, falls for Mandzukic but the English defence does well to keep the threat out. Croatia 0-1 England. 10 minutes played. 23:37 IST: Trippier's first international goal for England, and what a moment to bring that. Meanwhile, corner for Croatia! 23:35 IST: GOOAAL! Pick that out, Kieran Trippier takes a precise free-kick, which ends in the near corner as England coach Gareth Southgate punches in the air to celebrate the early lead. Croatia 0-1 England after 5 minutes. 23:33 IST: Free-kick in a promising position for England, little nibble on the back of Dele Alli by Modric -- the offender. Young, Trippier lining up on the ball. 23:31 IST: Jesse Lingard collects an early warning from the referee as Croatia look to open attack from the left flank, kept away by the England defence. Croatia 0-0 England. 23:30 IST: Kick-off! England gets the first-half underway. 23:28 IST: Captains Luka Modric, Harry Kane have exchanged the team sheets, mandatory coin toss has been done. Croatia are in black, England in white as we inch closer to the kick-off! 23:25 IST: National Anthems take the centre stage, both the teams gear up for one shot at booking the final berth. There will be no second opportunity. 5 minutes to kick-off! 23:20 IST: The men who matter, to keep the goals out! Yesterday we saw in the France vs Belgium clash how crucial goalkeepers can be. Huge onus on both of them! 22:20 IST: England, Croatia team news has arrived. Nearly an hour to kick-off as the Luzhniki stadium has started to fill in. 22:13 IST: The Croatians bus enters Luzhniki Stadium as we inch closer to the all-important match between Croatia and England. 22:08 IST: England football team have arrived in anticipation of the key clash against the Croatians. 21:50 IST: Croatia have one of the most enviable midfields in world football. Luka Modric, Ivan Rakitic, Ivan Perisic, Mateo Kovacic have all established themselves as some of Croatia's best-ever midfielders, which is no mean feat considering who has come before them. 21:45 IST: Croatia football team depart for Luzhniki for the marquee clash against England, a final berth at stake! 21:40 IST: The calm before the storm, inside the England football team dressing room at Luzhniki Stadium, Moscow. 21:33 IST: Nearly two hours to kick-off! 21:31 IST: Eight of England's 11 goals at Russia 2018 have come from set-pieces - the most by a team at a World Cup since Portugal's eight in 1966. 21:30 IST: Time for a quick look at the numbers: Both sides have scored in five of the last six meetings, with England clocking 18 goals in the process. 21:20 IST: Luzhniki Stadium saw Russia's memorable triumph on penalties over Spain. With this its sixth game of the tournament, it knows how to cope with drama, so brace yourself for plenty more later. 21:18 IST: Rewind the time, Spain football team won the FIFA World Cup 2010 on this day, glorious memories. 21:15 IST: Croatia Prime Minister Andrej Plenkovic and Speaker of the Croatian Parliament Gordan Jandrokovic are in Moscow for the marquee clash. 21:10 IST: England football fans are in readiness for the crucial semi-final against Croatia. "It's coming home..." they believe! 21:00 IST: Hello and welcome to the live commentary from the second semi-final between Croatia and England. 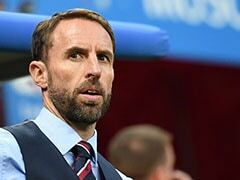 Southgate has told his players they have the potential to be bigger heroes even than the team featuring Bobby Moore and Bobby Charlton that win on home soil in 1966. Captain Harry Kane is leading England's charge with six goals so far, putting him top in the race for the Golden Boot. Lukaku is on four goals and Griezmann and Mbappe have three each. Croatia can count on Real Madrid's midfield talisman Luka Modric, named man of the match three times in Russia, but his teammate Andrej Kramaric says England's lack of superstars is what makes them a cohesive unit.